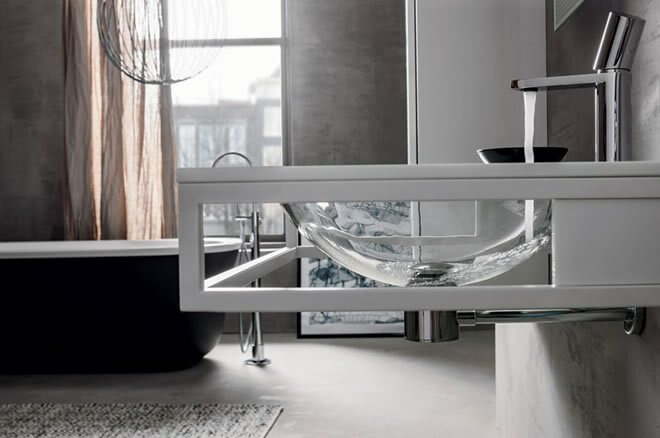 The new range of vanity units from Artelinea are an ideal addition to the bathroom of anyone who likes order and organisation as well as contemporary design. Artelinea are a design-led company who use high quality materials and have the technical expertise to create functional and beautiful vanity units that are a joy to look at, and to use. Featuring divided compartments so that each of your belongings has a home of its own, these units maintain the clean lines your luxury bathroom deserves. Many of these vanity units feature curved lines and beautiful shiny surfaces, giving an elegant look perfect for any luxury home. It is easy to see the passion that Artelinea have for their products, and they obviously have a keen eye for beauty. The less is more aesthetic is ideal for any bathroom, especially for those of us who don’t want to have the clutter of beauty products messing up our spaces. These stunning vanity units are perfect for anyone building a high-end development or a luxury refurbishment as the contemporary construction will remain in style for many years to come. This entry was posted in Luxury Developments and tagged Artelinea, bathroom design surrey, bathroom designers ascot, bathroom designers bray, bathroom designers maidenhead, bathroom designers sunningdale, Beaconsfield, Henley bathroom design, luxury bathroom design, luxury interior design surrey, vanity units. Bookmark the permalink.